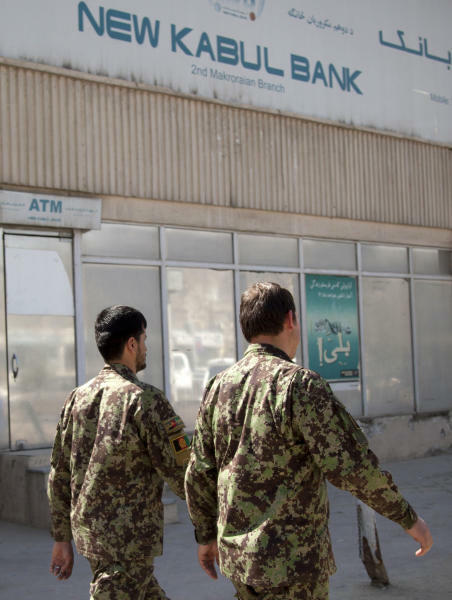 KABUL, Afghanistan (AP) — An Afghan tribunal sentenced two top executives to five years in prison Tuesday for misappropriating hundreds of millions of dollars from the nation's largest bank in a scandal that caused it to fail and threatened the country's fragile economy. Observers called the sentences remarkably light given the crime, raising questions once again about the Afghan government's commitment to rooting out corruption. 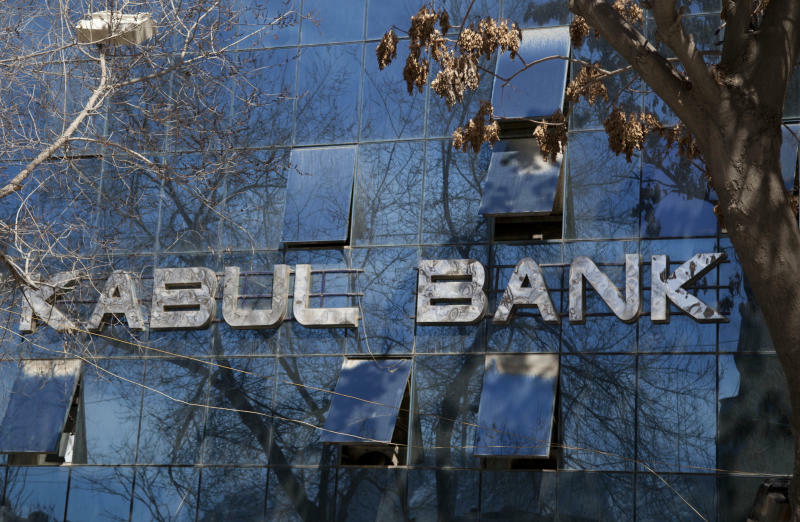 The Kabul Bank's collapse and subsequent bailout represented more than 5 percent of Afghanistan's gross domestic product, making it one of the largest banking failures in the world in relative terms. The scandal has become a test case for President Hamid Karzai's pledge to clean up the notoriously corrupt government. Karzai has been regularly accused of prosecuting low-level graft while ignoring massive thievery on the part of friends or powerful allies. A report in November by the Independent Joint Anti-Corruption Monitoring and Evaluation Committee said political interference has stymied much of the Kabul Bank investigation. The Afghan government is almost entirely funded by foreign donors, many of whom have threatened to pull or curtail financing if they do not see proof that Karzai's administration is ensuring that the money reaches Afghan citizens as intended. Judge Shams-ul-Rahman Shams said the bank's former chairman Sherkhan Farnood and former chief executive officer Khalilullah Ferozi were guilty of misappropriating $278 million and $530 million, respectively. Farnood and Ferozi were also ordered to pay back these funds. At the hearing, Farnood said he became the scapegoat for the real culprits at the bank. Ferozi spoke more gently, saying he did not accuse anyone but felt there needed to be a fuller accounting of the money. He swore to pay back any funds he was shown to have stolen. The two were among 21 Kabul Bank and government employees found guilty of wrongdoing on Tuesday — the first convictions from a debacle that erupted in 2010 and saw $861 million in fraudulent loans disappear into the pockets of friends and relatives of the powerful men behind the bank. November's report said Kabul Bank was run like a Ponzi scheme with deposits used to fund lavish villas in Dubai and other luxury purchases. Hundreds of millions of dollars were sent out of Afghanistan — some in airplane food trays, according to the report. The chairman of the independent monitoring group, Drago Kos, called Tuesday's ruling "a disappointment." "International standards require sanctions that are proportionate, dissuasive, and effective. We feel that this is lacking in the judgment issued today," Kos said in a statement. The prosecution had brought charges of money laundering and embezzlement that could have sent the two men to jail for 20 years. The lesser charge on which they were convicted, a breach of trust through the misappropriation of funds, carries a maximum five-year prison term. It also was not clear how the government planned to recoup the money. The verdict did not include a provision for the government to seize property or funds if they are not given over freely. "The crime of these men was that the Afghan people entrusted their money to the bank and they betrayed that trust. We could not find any other crime to convict them of," Judge Shams told The Associated Press in an interview. The defendants have the option to appeal Tuesday's decision by the three-judge panel, which is considered a primary court ruling. Farnood and Ferozi have both been under house arrest for more than a year. It was not clear if that would count toward their prison terms. Five of the 21 defendants were convicted in absentia, including the former chief of the country's central bank, Abdul Qadeer Fitrat, who was sentenced to two years in prison for misusing his authority and failing to inform the government of what was going on inside Kabul Bank. Fitrat is currently in the United States. Notably absent from the list were some of the highest-profile names attached to the bank, such as shareholders Mahmoud Karzai, one of the Afghan president's brothers, and Hassan Fahim, a brother of First Vice President Mohammad Qasim Fahim. Those men were not included in this case, but Shams said 13 more people, most of them shareholders, are currently under investigation and that may result in indictments. He also urged the attorney general's office to open probes into another 16 people involved in the scandal. 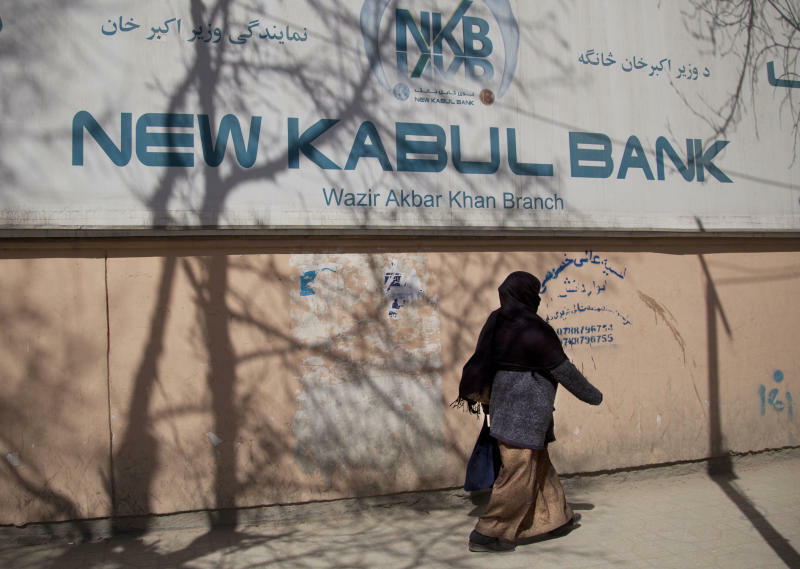 Since the bailout, Kabul Bank has been renamed New Kabul Bank and is being run by the Afghan government. Associated Press Writer Amir Shah contributed to this report in Kabul.